Date: 22.02.2018 | House | Tags: Jettan, Emergent Shores, Progressive House | Download Jettan - Follow The Sun / Daylight (2018) for free. 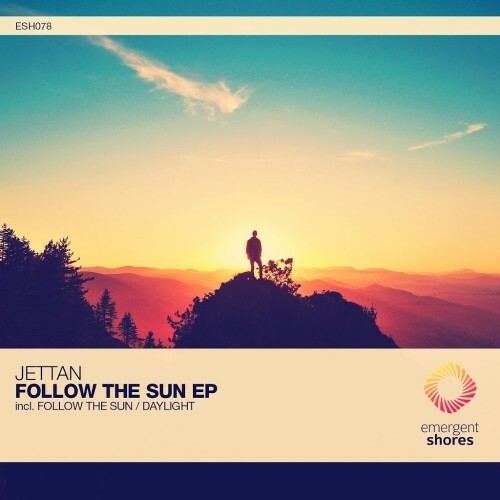 Making his way back to the Shores imprint for the first time this year is the massively talented Belarus based progressive guru Jettan, who gracefully returns with a star studded new 2 track EP titled 'Follow The Sun'. Having made quite the name for himself last year with us here at Emergent Music, this Shores based veteran has really delivered some of our most coveted melo-prog to date. This new EP is of course no different, pushing a colorful array of summer styled progressions, dreamy melodies, vibrant and textured atmos, all set to a nice chuggy progressive rhythm that combined is an undeniably gorgeous and euphoric journey through the winsome realm of melo-prog. Making a very welcomed return with known for quality and style in tow, this is Jettan with the alluring new 'Follow The Sun EP'.